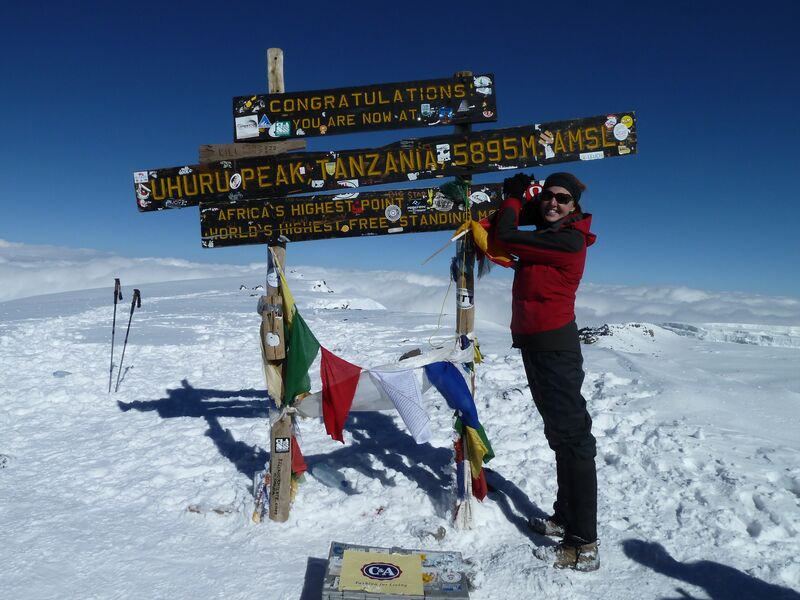 When I signed up for the Cure Cancer Mt Kilimanjaro climb 10-months ago I had no idea what to expect. 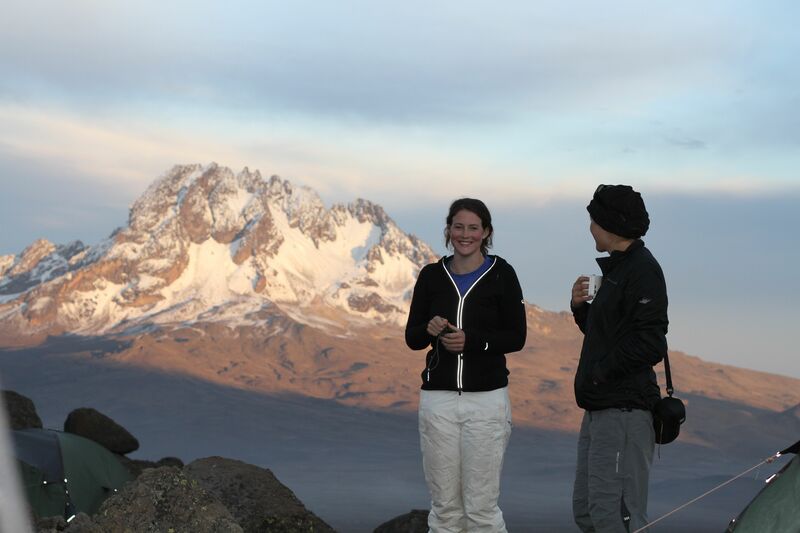 The planning, fundraising and adventure clothes shopping was loads of fun, but all pale in significance compared to watching the sunrise at Gilman’s Peak after 6hrs of hiking (from 4,700m to 5,681m) by moonlight and at -15C. After Gilman’s, it was another 1.5hrs to reach the summit (Uhru Peak) and then 5hrs back down to where we started. 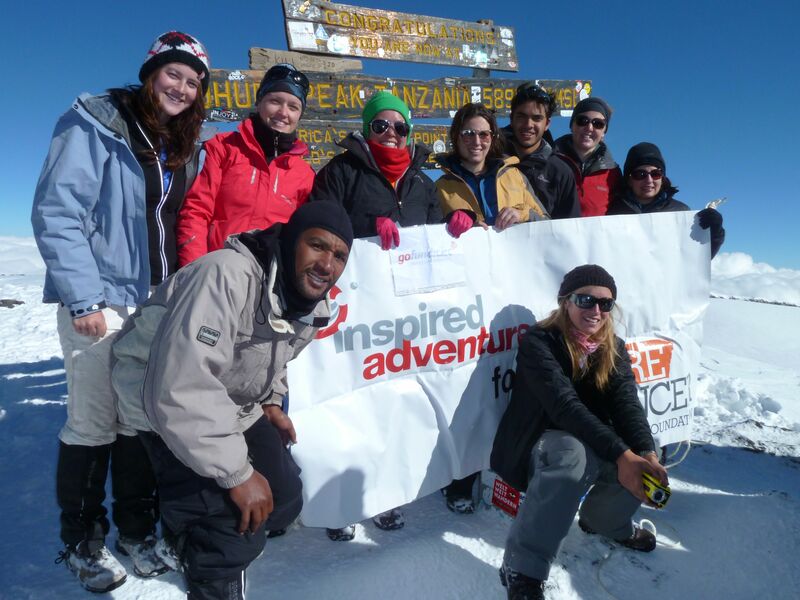 After raising over $55,000 for Cure Cancer, our group of 9 Kili climbers spent 7 days on the mountain looked after by a crew of 37 Tanzanian’s (mostly men) as we puffed and stumbled our way up Africa’s highest mountain. The 8 of us that made it to the top! feeling of having made it to the top of Africa. When I asked what one thing they’d change, the overwhelming response was the weather. Yep, it was cold. We were hiking in 10-15cm of snow and stopping for a bite of chocolate or to blow your nose turned our fingers and toes to ice. Our guides told us that the weather was unseasonal… I couldn’t help thinking this might just be another example of the effects of global warming. That thought was reinforced when guide Hubert told me that the glaciers were about twice their current size when he started guiding 8 years ago. The towering shelves of ice still dwarf the glacier on Mt Kenya, but I do wish I’d been crazy enough to try this climb years ago to see them at their massive best. Taking the recently re-opened Rongai Route up the mountain our group got different answers from different members of our local support crew when it came to the total distance we walked. I do know it was less than 100km, but how much less I’m not sure. On the final day alone it was 20km – descending from the alpine region into lush rainforest, complete with monsoonal downpour. Reaching the summit was more emotional than I would ever have expected. We all shed tears… and not being much of a crier, I do admit to having blubbered most of the way from Gilmans Point to the very top Uhuru Peak (5,895m). From my personal perspective, putting my body through such a physically demanding experience is nothing compared to those that have undergone cancer treatment. At the top I felt exhausted, relieved and incredibly lucky to have been able to undertake such a challenge. Without wanting to single anyone out or needing to make a big deal out of it, each day all of us on the trip all spent a moment thinking about who we were walking for… Jane (& the Worthy family), Mike (& Lou), Laura and Nana… there were days up on that mountain that were all about you. The better part of 2010 was planning for this trip. 6 nights in a tent (3 of them in snow), more eggs than I’ve eaten in my life, and a number of yellow bruises from uncoordinated falls on the way down and it’s all over. 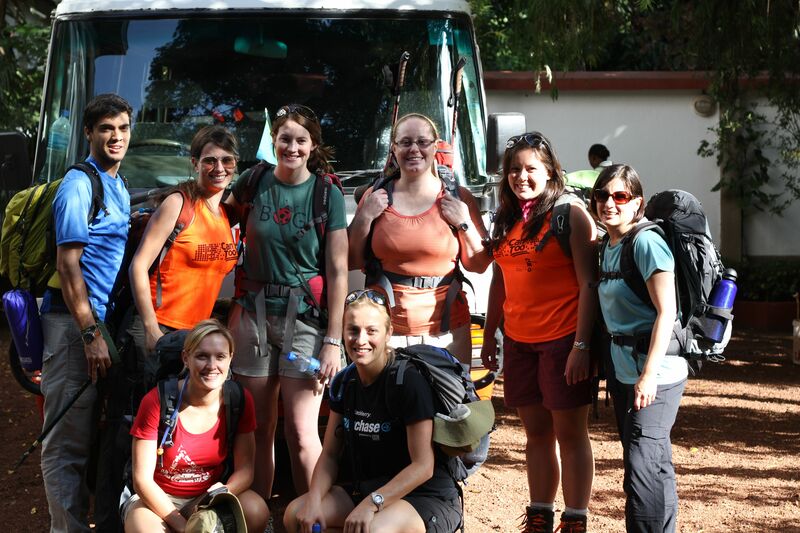 I said goodbye to my fellow trekkers yesterday – most of them heading home to Australia while I’ve still got another month of African adventure. At the top of Africa! Giraffe Manor in Nairobi, trekking with the mountain gorillas in Uganda and relaxing on Zanzibar are next on my agenda. I’m excited about the next phase of my adventure but I’ll miss the new friends I’ve made… it’s amazing how quickly you bond with people over toilet paper supplies, wet mattresses and a common goal – reaching the summit! This entry was posted in Uncategorized and tagged Africa, cancer, cancer research, Cure Cancer, fundraising, hiking, Inspired Adventures, janeece keller, Mt Kilimanjaro, Tanzania, Travel. Bookmark the permalink. 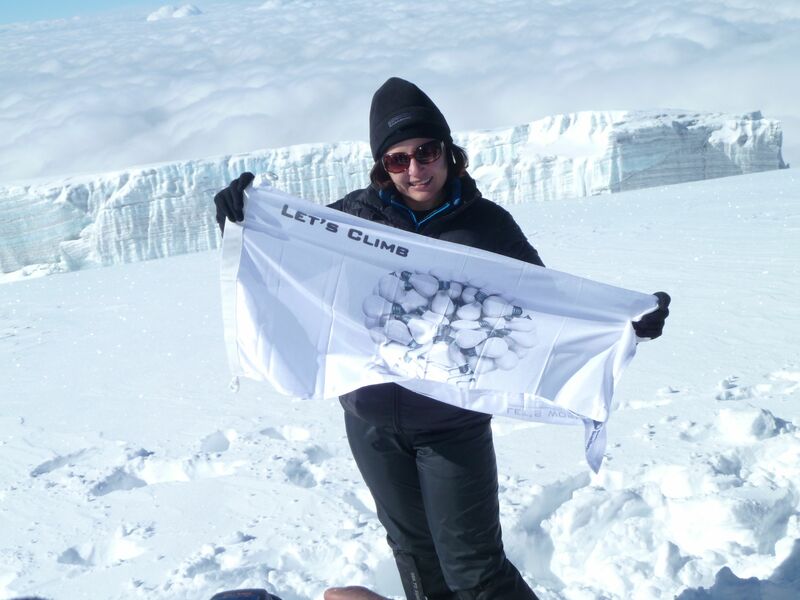 4 Responses to I climbed Kili for a cure… and made it! Well done JK, you are a mountain amongst your peers. Wow!! I’ve been amazed over the past several months as I’ve heard about your preparations. I’ve asked Ashley about your progess a few times, and smiled at how proud he is of you. Now reading this post, I am truly dazzled and humbled by you – your resolve and your achievements. Congratulations to you!! I followed an fb link to your blog and this post – and by coincidence, on the same day that my beloved Mom had her final radiation treatment for breast cancer. I saw her on skype today, and could even see a dark shadow of growing hair over her smiling face. I know if this had happened to her only 10 years earlier, it’s unlikely her story would be ending this way. So…thanks on behalf of all the daughters of Mom’s to come, whose story is even more successful. Can’t wait to hear your amazing stories when you get home! !